Hulkamania officially begins when Hulk Hogan defeats The Iron Sheik for the WWE Championship at Madison Square Garden on January 23, 1984, only two weeks after returning to WWE. Official time of the match: 5:40. The Great Hossein Arab would return to the WWF in 1983 as The Iron Sheik and challenged Bob Backlund once again; he defeated him on December 26, 1983 at Madison Square Garden for the WWF World Heavyweight championship ending the near-six years Backlund reign. 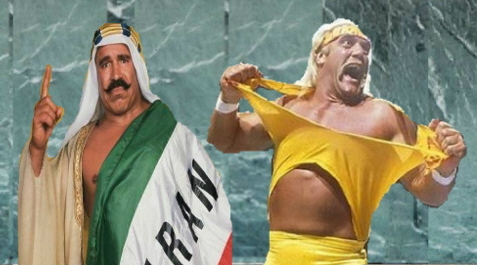 Sheik had supposedly injured Backlund during a "Persian club challenge" prior to this title match. 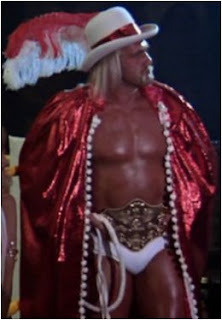 After appearing in Rocky III in 1982 as Thunderlips - The Ultimate Male, Hulk Hogan became an instant celebrity. 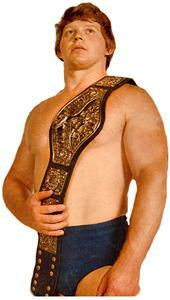 At the time, Bob Backlund was the WWWF World Champion since February 20, 1978. Bob Backlund was a clean, skillful, and classy old-school wrestling champion. 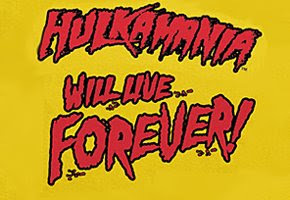 While Hulk Hogan was arguably the biggest draw in wrestling outside of Andre The Giant when he was in AWA which is the reason why Vince McMahon resigned him in the first place and is why he tried to get Bob Backlund to turn heel as Vince McMahon was desperate to put the WWE title on Hulk Hogan. Bob Backlund flat out refused to turn heel The backstage story was that the WWF Champion Bob Backlund had refused to let Hogan win the title from him, demanding that any wrestler to whom he lost the belt have a legitimate wrestling background.so Vince McMahon came up with the compromise that he would lose the WWF title to The Iron Sheik in a controversial manner to look strong and then The Iron Sheik then lost the WWF title to Hulk Hogan a month or so later. 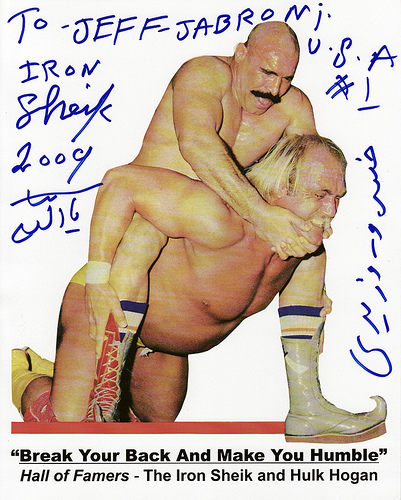 At the time Iron Sheik was the WWF Champion by beating Bob Backlund who was a face. Sheik was a heel and is considered a transitional champion seeing as how he only held the belt for 4 weeks before dropping it to Hulk Hogan who would then go onto hold the belt for 4 years and establishing himself as Hulkamania - the face of the company. Interesting story: When The Iron Sheik was champion, AWA owner and friend of Iron Sheik, Verne Gagne offered Sheik $100,000 to break Hogan's legs in the match and bring the title over to his promotion. Sheik turned down the offer because he didn't want to betray the person who he was working for - "I cannot break the hand of the person that feeds me." Instead of placing a bounty on his head.. eh.. legs. The short-sighted Verne Gagne should have handed him the AWA world title. But, the old school Verne Gagne, himself a legit amateur wrestler, prefered to have the 47 years old scientific wrestler Nick Bockwinkel as his champion than the 6'8", 302 lbs, 24-inch arms Hulk Hogan.